One of the best books I have read in months. An easy read, yet a gripping and emotional one. This book will make you nostalgic. For the heart-racing excitement and shyness induced by your first love, for being a kid again. Meet Eleanor. She comes from a troubled home. Her mother, dismissive and spineless, married to an abusive alcoholic. Heavier than you expected right? This is not your typical "young adult" book. Eleanor is a misfit. Her red hair, wild like her personality. Her fashion sense, eye catching and eccentric. She is ill at ease in her body as well as among her peers. Yet, she posseses a sharp wit, creative humor and loving nature. Meet Park, who comes from a "secure" and generally tight knit family. Quite the opposite background from his soon-to-be love. His parents have a stable marriage, in fact, they have the marriage I wish more people aspired to. He and his brother have the typical squabbles and disagreements present among all siblings. Park is liked by most of his classmates but also somewhat of a misfit himself. He tends to be solitary by choice, is passionate about music, soft spoken and thoughtful, kind and trusting. 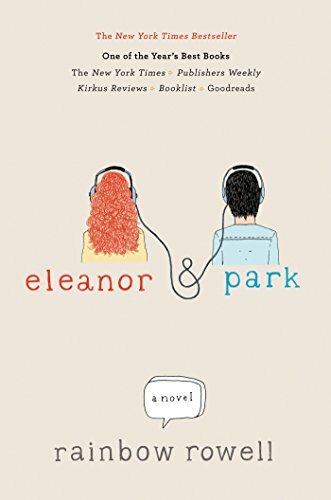 Eleanor and Park meet by accident on the bus. Her first day in her new school results in the two of them sitting side by side. Both act disgusted and annoyed with the other for a few weeks until finally, they break the heavy tension and silence between them and begin to actually talk. As days turn into weeks, these two come to relish this bus ride together, and the company of one another. They find their interests more entwined then they could have imagined. They seague into being aquintances, quickly moving into friendship and finally both realize that actually, seeing each other every morning on the bus is the highlight of each ones day. 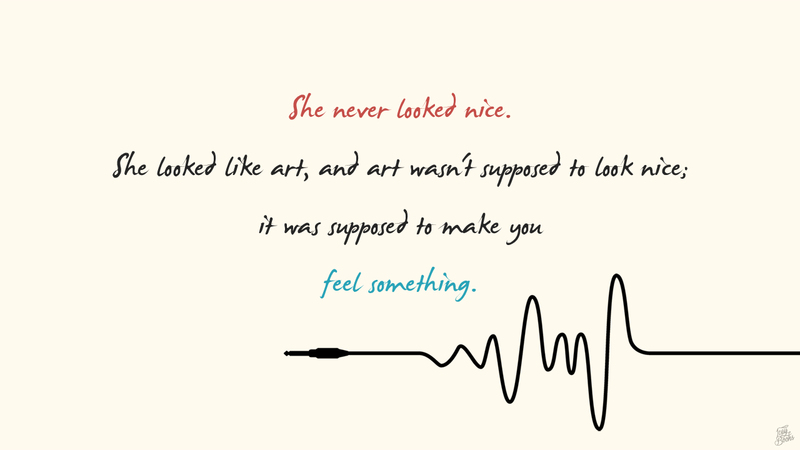 “Or maybe, he thought now, he just didn't recognize all those other girls. The way a computer drive will spit out a disk if it doesn't recognize the formatting. Their relationship moves beyond the bus and delves into deeper emotional territory as Eleanor slowly reveals pieces here and there to Park about her traumatic home life. Park demolishes her fears each time by reacting with love, support and kindness. The love story between these two is surprisingly heart rendering and enchanting. Most importantly though, it feels real. A number of moments throughout Eleanor and Parks story moved my heart deeply, gave me chills, really captured my Attention, brought a smile to my face, and even tears to my eyes. The tagline of this book "two sixteen year old star crossed lovers, who know that first love rarely lasts, but who are both brave and desperate enough to try." So, as you can glean from this line, they do not end up together. And actually, the ending is both sadly fitting and totally heart stirring. I was shocked by how much I loved this book. I expected to enjoy it, not love it. In fact, I adored it. I will re-read it again and again throughout my life, having added it to my collection of "most loved stories." “You think that holding someone hard will bring them closer. You think that you can hold them so hard that you'll still feel them, embossed on you, when you pull away. Please don't tell readers anything about the ending! Boston and New Hampshire...here I come!!! !